There are just two rounds of games remaining in the Champions League group stage, and many of the groups are very tight going into this week’s games. Of the four English teams in the competition, Tottenham, Liverpool and Manchester United are in a real battle for qualification. All three could still make it, but as things stand now it wouldn’t be a surprise to see none of them make it. Manchester City have recovered well after losing their first game and should confirm their place in the next round this week. Many other clubs around Europe have big games too, which should give us two fantastic days of football in this competition across Tuesday and Wednesday. A win here for Manchester City would not only confirm their progression to the next round but it would also give them top spot in the group too, and in theory an easier tie in the next round. Lyon went to Manchester and won the opening game of the groups, but that was a one-off poor performance from City and I expect we will see a much different team here. Since that defeat, they have been fantastic in the Champions League, and they continue to perform very well in the Premier League too. Lyon have a chance to make the next round here, but City look too strong for them and will be aiming to win this and win the group, so I am going to back City for the win in France on Tuesday night. While Manchester United have really struggled in the Premier League so far this season, they have performed better in the Champions League. With Valencia away at Juventus, it is likely that a win for United here would give them a place in the next round, which would have been their aim from the start. They won the first game between these two in Switzerland and like I said, while they have struggled in the league, their Champions League campaign has been pretty good so far. Young Boys have just one point to their name so far and barring a big turnaround, they look set to finish bottom of this group. They have not shown anything to suggest they are capable of playing at this level, and based on the first game between these two there is little reason to think they can overturn United at home. While they are not playing well domestically right now, I am backing United for the win here. Tottenham have clung onto their Champions League place and they come here with a fighting chance of making the next round. A win here would bring them level with their opponents Inter Milan on seven points, both of them looking for the final qualifying spot behind Barcelona. The difference between the two teams is that Tottenham travel to Barcelona for their final game, while Inter Milan play bottom club PSV. Things haven’t gone to play at all for Spurs in Europe, and they required a last-minute winner to get their first win on the board in game week four. They are playing well in the league though, and they come here on the back of a fantastic win over Chelsea at the weekend. They still believe too, which is vitally important, and I think they can keep their hopes alive by bagging another win here. I’m backing a Spurs win. Liverpool had a great opportunity to take control of this group in their last game, but a shock defeat to Red Star Belgrade put them on the back foot. They head to France for arguably their toughest game of the group stage, and a loss here would knock them out of the top two spots with one game to go. They opened their campaign with a win over PSG, but this is a completely different and much tougher test for them. Surprisingly, top seeds in the group PSG have only won one of their four games so far, much to the disappointment of their fans as they were expected to go very close this season. They are a better team at home and will know the importance of three points here. That would give them a huge chance to qualify, with Red Star their final game, and I’m backing them to pick up that win and send Liverpool and their fans home disappointed on Wednesday night. Three of the four English clubs in action are likely to be very popular with punters this week, and the two Manchester clubs are likely to be the centre of many accumulators. City are 2/5 at Lyon to claim the top spot in the group, while Manchester United, who are struggling domestically but playing well in Europe, are 1/4 at home to Young Boys. After their impressive victory over Chelsea over the weekend, plenty of punters will also be looking at Tottenham, and they are 8/11 to win their home game against Inter Milan on Wednesday. The big game of the week comes in France, with Liverpool visiting PSG in a crucial game in their group. The hosts are the favourites here, priced up at 11/10, while Liverpool are 11/5 to go across the channel and claim what would be a hugely memorable victory. There are plenty of short-priced favourites around Europe over the two days that will appeal to accumulator punters. Bayern Munich are 2/7 at home to Benfica on Tuesday, and Juventus are 2/5 at home to Valencia on the same night. Those looking to kick-start their accumulators early may also look at Ajax away at AEK Athens, which kicks off at 5:55 pm on Tuesday evening. Atletico Madrid are huge favourites at 1/6 to beat Monaco on Wednesday, and at 1/7 Napoli are even stronger in their game against Red Star Belgrade. Another team likely to be popular on Wednesday is Barcelona, and they are 2/5 to win away at PSV. Dortmund round off the short-priced fancies on Wednesday priced up at 3/10 to beat Club Brugge. If you fancy Manchester City, Manchester United, Juventus and Bayern Munich all to win their games on Tuesday then you need to take a look at this offer from Ladbrokes. They are offering new customers who sign up with them the chance to back all four in an enhanced price accumulator, with the huge price of 70/1 on offer. This is available to a maximum stake of £1, and winnings from the bet are paid out in free bets. However, this is a fantastic way to get your account up and running, and with additional funds to spend on further bets. These four are going to be four of the most popular selections on Tuesday night. There are many different acca bonus offers out there, but one reason why the Black Type acca bonus stands out is because your bonus is paid to you in real cash, not in free bets. That is something important to consider, and a big reason why you should use the Black Type acca bonus. This week is going to be very popular for accumulator bets, with many short-priced favourites playing across the two days. With a 50% bonus for a 13 fold, and smaller bonuses available for smaller bets, this great bonus to take advantage of and one that will pay you out in real cash. If you are looking for a consolation offer to take advantage of this week when placing single bets then take a look at this offer from TonyBet. 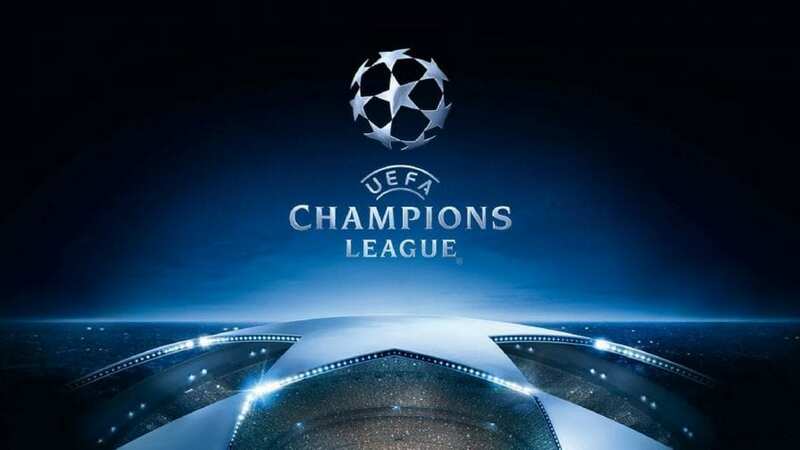 Their No Goals No Loss consolation covers selected Champions League matches, with a list available on their website. This week they cover 11 of the 16 games, so there is plenty of choice. Simply place a single bet on a team to win their game, and if no goals are scored in the game, you will get your money back up to a maximum of £20. This means no more worrying about a 0-0 draw. You know you are covered with this offer.